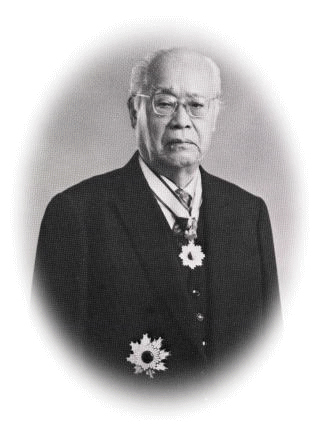 The Inoue Harushige Prize is a prize created out of consideration of the contributions that Harushige Inoue, the first president of the Research Development Corporation of Japan, one of the predecessors of the Japan Science and Technology Agency, and the first Director-General of the Science and Technology Agency of Japan made to the advancement of science and technology in Japan and to commemorate the fifteenth anniversary of the founding of the Research Development Corporation of Japan. 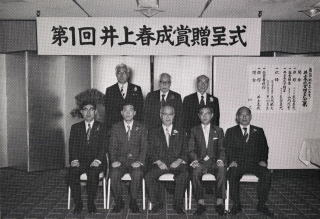 The prize is given to researchers and corporations for outstanding technology that a company has developed and commercialized using original research from a university, research institute, or similar entity and that contributes to the advancement of science and technology in Japan, economic development, and greater welfare. Winning technologies are selected from recommended technologies, including ones recommended by applicants themselves; as a rule, each year, two technologies are selected by the Inoue Harushige Prize Committee, and the final decision is made by the Inoue Harushige Prize Committee taking into consideration the screening results. The prize is awarded to one representative researcher and one representative of the company,who are presented with an award certificate and award medal in the name of the chair of the Inoue Harushige Prize Committee. In addition, since the thirtieth prize (2005), the representative researcher has also been provided with a research grant as an auxiliary prize from the Watanabe Memorial Foundation for the Advancement of New Technology. The prize is made possible on account of donations and sponsorship fees from various corporations and associations. We hope for your support. (1) Original research from a university, research institute, etc. (3) Technologies that contribute to the advancement of science and technology, economic development, and greater welfare. *For technologies developed and commercialized by small and medium enterprises, special consideration is given to distinguishing technological factors and unique market aspects. *In fields in which the benefits from the technology may not be known in the short term, this can be taken into consideration, and it does not necessarily have to be less than five years since sales were actually launched. (5) Technologies that have not won another major prize such as the Okochi Memorial Foundation Prize, Japan Industry and Technology Prize, Ichimura Prize, or Onshi Invention Prize. The Inoue Harushige Prize Committee, which is composed of distinguished academics, screens submitted technologies, and the Inoue Harushige Prize Committee selects winners taking into consideration the results of the screening.